Photo: The open pit of the Golden Quail Mine. Eastern Mojave Vegetation The open pit of the Golden Quail Mine. 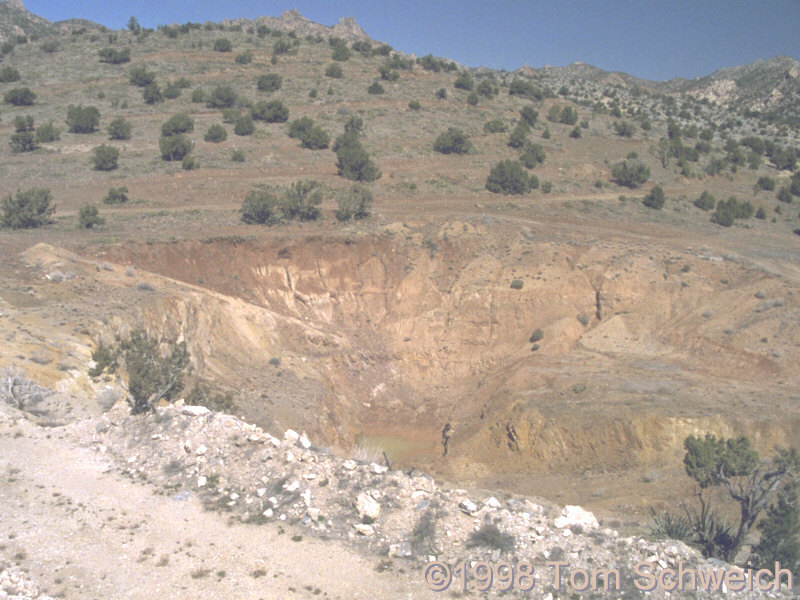 This is the current appearance of the Golden Quail Mine. The water is in the approximate location of the former shaft, and the area has been left a horrible mess.